Comfortable beds and pillows. Very clean room, nice staff. Breakfast was good continental. It was good for just travelling through as we were. Would be fine for a stay as it had fridge, microwave and coffee in room. Large rooms. Breakfast was fine. Wide array of choices. Waffles, cereal, scrambled eggs, sausages, juices, muffins and pastries and plenty of it. The staff was very friendly and was most welcoming. Rooms were very clean and the bed was very soft and comfortable. Stayed here twice so far, will likely return it is comfortable and does the trick for a night or two. Located in a major street with many choices of restaurants. Breakfast is ok. The room was neat and newly renovated. And had 3 beds which was good for the 5 of us. Pool was nice. Kids enjoyed that. Large & clean room, free parking next to the room. 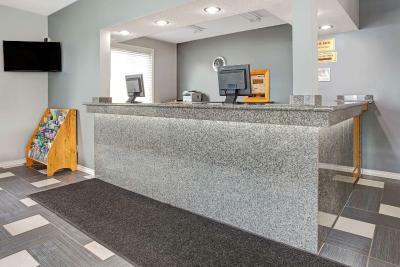 Howard Johnson by Wyndham Gananoque This rating is a reflection of how the property compares to the industry standard when it comes to price, facilities and services available. It's based on a self-evaluation by the property. Use this rating to help choose your stay! 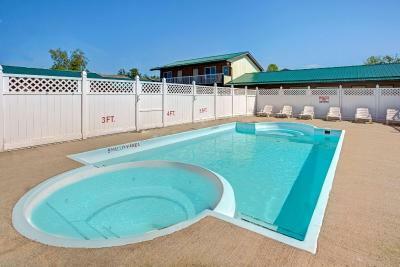 This Ontario hotel, located 11 miles from the 1,000 Islands Skydeck, features a heated outdoor pool and jacuzzi. 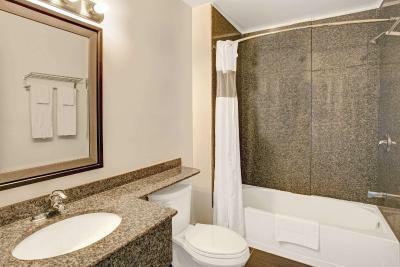 Howard Johnson Gananoque offers guest rooms with cable TV and free Wi-Fi. Rooms provide refrigerators, coffee makers and hairdryers. Rooms with microwaves and ironing facilities are available upon request. 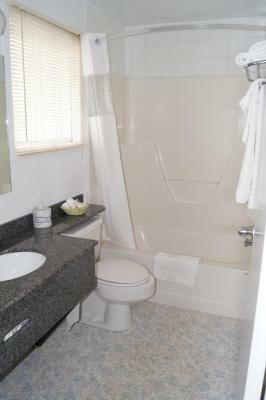 Guests at Gananoque Howard Johnson Inn are offered meeting facilities and free local calls. Howard Johnson Inn Gananoque is one mile from the Gananoque Boat Line and the 1,000 Island Charity Casino. It is 20 miles from Boldt Castle. 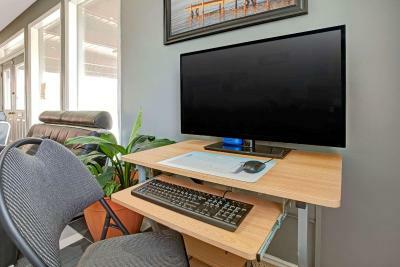 This property is also rated for the best value in Gananoque! Guests are getting more for their money when compared to other properties in this city. When would you like to stay at Howard Johnson by Wyndham Gananoque? This quadruple room has a balcony and air conditioning. 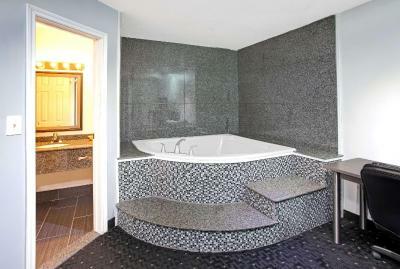 House Rules Howard Johnson by Wyndham Gananoque takes special requests – add in the next step! Any additional older children or adults are charged CAD 5 per person per night when using existing beds. Howard Johnson by Wyndham Gananoque accepts these cards and reserves the right to temporarily hold an amount prior to arrival. Bed was not up to standard for me. The toilet has too much water in it, so, if you are male and you sit down certain private parts go for a swim. Got a suite with three beds. The room was surprisingly clean and beds were comfortable. Didn’t expect this for an H&J. Good job! Not enough breakfast and medicine quality. Clean lady is great! She found my warlet after my check out and find me and give me back, many thanks. Everything was great. The hotel is very clean and the staff are nice. The problem was the bed. I can accept a lumpy pillow but the mattress was so lumpy I had a hard time turning over and my sleep was interrupted because I could feel every lump underneath my body. The door to the unit was very I'll fitting and let in a lot of cold air so I wedged a towel in the crevice to keep the room warm. The room was nicely updated and included all the essentials and everything was clean. Thanks for that. The continental breakfast was adequate for my needs, although the containers could have been labeled better as I could not find the milk. 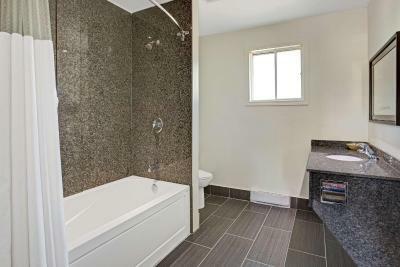 Would prefer if the rooms were tiled instead of carpet. Great value for the money and was the cheapest hotel around to stay for the night. The bed was very comfy and clean.